My name is Sydney Luzicka and I have been riding all my life due to my mom being a trainer. When I was 3 years old I went to my first show and was champion in the Cross-Rail division. 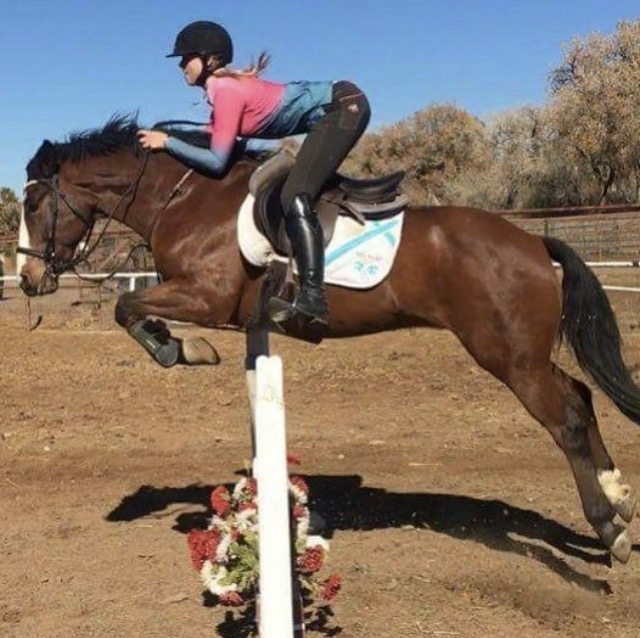 I am a Hunter/Jumper rider although I mainly compete in the Jumper divisions. I have recently started competing in Grand Prixs and have pinned 2nd in two of them (including a 2nd place finish in my very first Grand Prix as a 14 year old against all professionals), 6th in another and 9th. This past year, I took an unwanted pony and in less than 9 months trained him to jump and was able to finish 4th in the nation at the 2016 US Pony Jumper Championships. My main goal is to become a top jumper rider resulting in the World Cup completions and possibly the Olympics some day. I have loved riding ever since I was itty bitty and I am so grateful for all the opportunities I have and all the support I have received throughout the years.